The Cries of San Francisco by Allison Smith in collaboration with Southern Exposure brought together 60 artists to make new works and performances informed by the rich historical tradition of street peddlers hawking their wares through song while offering up social revelations. 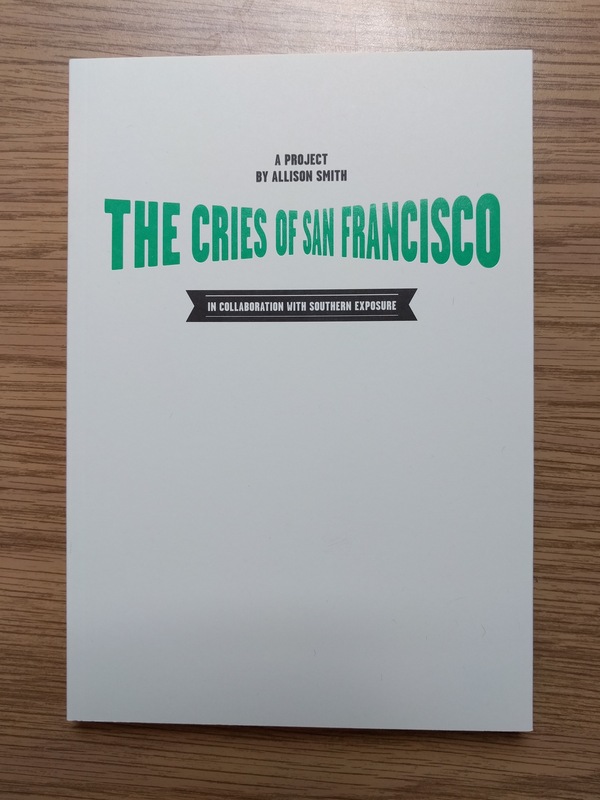 The project manifested in several forms: a major public art event in downtown San Francisco; an installation and marketplace at Southern Exposure’s Mission District space; and a series of events, performances, and open market days. The book features essays and interviews by Gwen Allen, Courtney Fink, Allison Smith, and Elizabeth Thomas, as well as photographs of the exhibition and public events and etchings by Allison Smith.